For kids who love bugs! 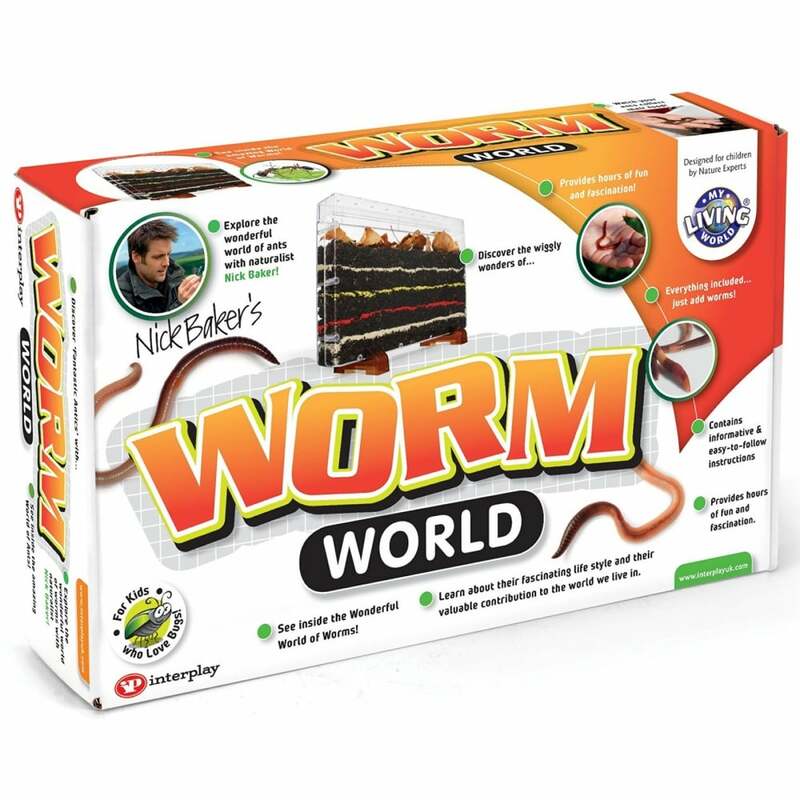 Look inside the fascinating world of worms with this fun and informative kit, watch your worms mix up the different coloured layers in their chamber and feed them leaves. This product provides a great opportunity for children to learn more about worms’ importance in our ecosystem. Children are encouraged to collect their own worms and told how to in the instruction manual. An order form for worms will also be included in the box. Contents: plastic housing, plastic lid, feet, cardboard shade, red sand, yellow sand, plain sand, colour instruction manual.